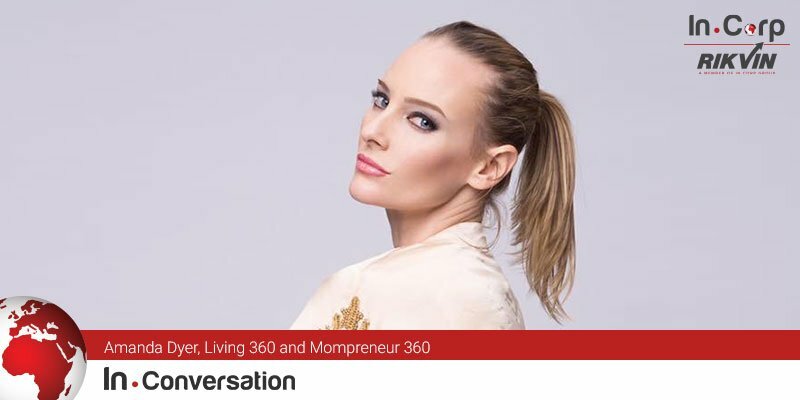 With one company borne out of passion and the other necessity, Amanda Dyer, Director of online magazines Living 360 and Mompreneur 360, would like to take both beyond digital print in 5 years’ time. She believes in focusing on The Magic, and not letting anyone tell her her dreams can’t be achieved. My inspiration around L360 came from my passion for travel, dining, fashion, and constantly being asked for my opinion around these subjects. I started doing reviews and wanted to house them on a platform I can own. L360 was born and today our writers come from every corner of the world. M360 was born out of necessity. I have been living in Singapore as an expat for nearly 12 years and am very active on social media. I constantly found myself helping new-arrival expat women with tips and advice and decided one day to create a platform that can house all of this good content. This magazine also has a free directory where small business owners can list their business and network with each other. It’s great to see it grow so quickly into the community it has become today. The honest answer is because I live in Singapore, but in reality, starting a business here is very easy (unlike other countries in the region). To get setup quickly and navigate through the business and regulatory landscape is a lot easier than one may think. This is why we see so many entrepreneurs choosing Singapore to launch their businesses. In my business, in order to grow we need to get more people reading our magazines and signing up for our events. This requires a massive effort on marketing and social media engagement. As a mother, wife and business owner, this becomes very time consuming and the main challenge I face is also looking after the admin, taxes and finances of running the business. We simply let Rikvin take care of all our company admin, taxes and everything else we require from a regulatory and compliance standpoint. They make sure we are on track with everything, keep us updated with important reminders and execute on everything seamlessly. This allows me to focus on growing my business – pain free! Knowing that the content we create is being enjoyed by our readers. Getting encouraging comments through private messages and via our social media platforms on how certain events and articles have made a difference. It’s pretty cool! I don’t sleep much, so I’m always up at night. In five years I would hope that we can expand beyond just digital print and start creating content in other, more innovative ways. I have been talking to TV producers about the 360 brand, but am yet to be presented with something that I’m excited about. It will come. I think people dig that I’m helpful and very approachable. I’m a big believer of simply being ‘nice’ and helping someone out if it’s within your means. People who know me appreciate that about me. What drives them insane? I don’t know, nor do I focus on that. You will need to ask them. Focus on your idea – or as I like to call it, ‘The Magic’ – and outsource the admin to the professionals. “Oh The Places You Will Go” – by Dr. Seuss. It’s surprising the messages adults can pull out of this children’s book that can help in both business and your private life. 12. What’s the one piece of advice you would offer to founders out there? Follow your dream and (as cliche as this sounds), never let anybody tell you it can’t be done. Having a relentless attitude towards execution will always lead to successful outcomes. Just do it – as they say!